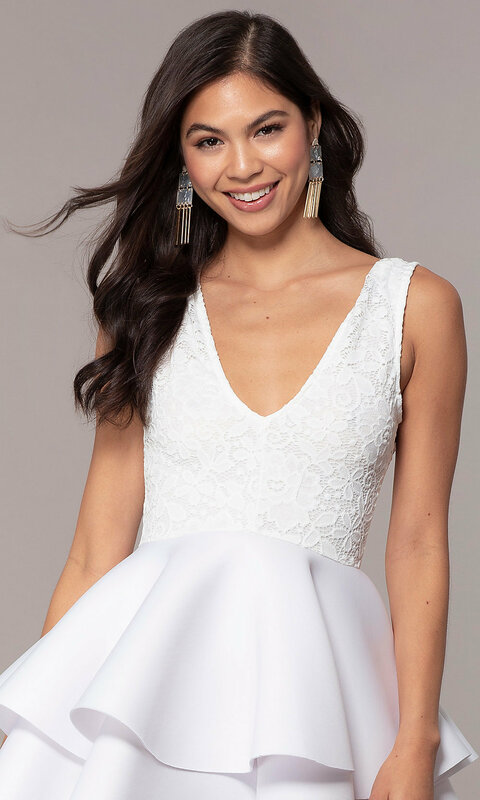 Wear this lace-bodice v-neck graduation party dress to stand out at commencement 2019 or a cocktail party with friends. The lace bodice on the short graduation party dress features a feminine floral design, while the tiered skirt dramatically flares away from the natural waistline. 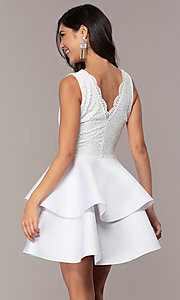 The ruffled skirt, made of scuba material, keeps its shape whether you’re sitting down to dinner or dancing the night away. Look and feel great in this fit-and-flare lace-bodice v-neck graduation dress.